One of Larne’s longest-serving elected representatives has spoken of his pride at being honoured. Roy Beggs, who served on Larne Borough Council from its inception until the authority wound up earlier this year, told the Times he was “very satisfied” to receive an MBE for his services to local government. The former MP for East Antrim dedicated his award to all those who have supported him during his four decades as an elected representative. “A lot of people will be able to share in this honour,” the 79-year-old added. His inclusion on the honour roll was given added significance by the fact that freedom of the borough – the highest award that the local authority can bestow – was conferred on Mr Beggs earlier this year. “To become a freeman and receive the MBE in the same year is something very special indeed,” Mr Beggs said. 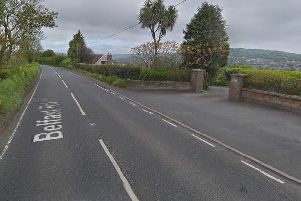 Mr Beggs was educated at Ballyclare High School, and went on to become a teacher at Larne High School, which was then known as Greenland Secondary School. He entered politics in 1973 as an elected representative for Larne Borough Council for the DUP. He later moved to the UUP and retained his council seat, serving several terms as Mayor of Larne. In 1982, Mr Beggs was elected to the Northern Ireland Assembly representing North Antrim, before being elected to the newly created East Antrim constituency the following year, a seat which he held for 22 years. He also served as chairman of the North Eastern Education and Library Board. Despite his retirement from political life, Mr Beggs still takes an interest in serving his community. He is currently acting chairman of the North East Region Rural Development group, and said he enjoys helping farmers and small businesses to access funding.